Feature and Narrative Storytelling for Multimedia Journalists is the first text that truly focuses on the multimedia and documentary production techniques required by professional journalists. Video and audio production methods are covered in rich detail, but more importantly, various storytelling techniques are explored in depth. 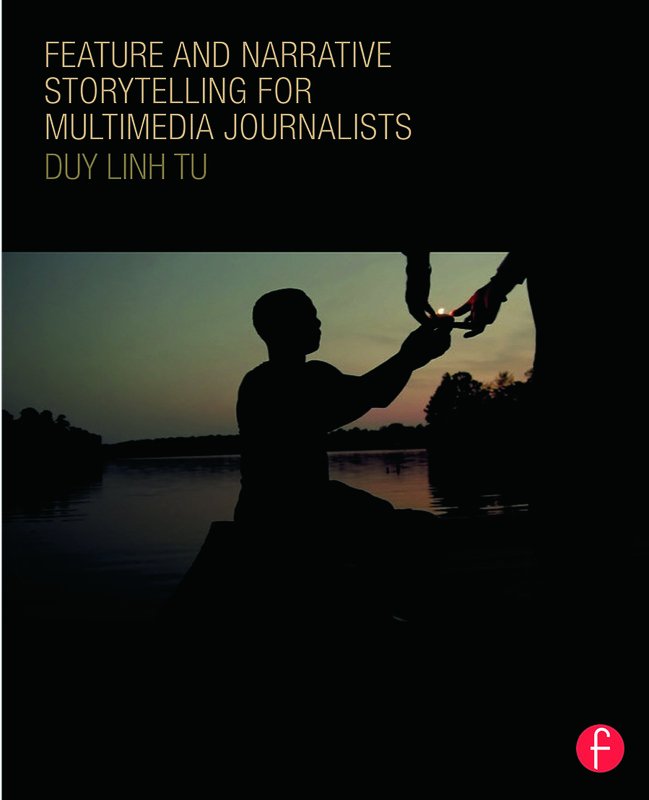 Likewise, author Duy Linh Tu tackles the latest topics in multimedia storytelling, including mobile reporting, producing, and publishing, while also offering best practices for using social media to help promote finished products. Whether you’re a student, a professional seeking new techniques, or simply looking to update your skills for the new digital newsroom, this book will provide you with the information and tools you need to succeed as a professional journalist. Integrated: The lessons in this book deftly combine traditional media production principles with storytelling craft. It is written with the perspective of modern professional journalists in mind. Practical: While rich with theory, this text is based on the real-world work of the author and several of his colleagues. It features Q&As with some of the best editors and video producers from top publications, including NPR, Vice, and Detroit Free Press, as well as profiles of leading video news organizations such as Frontline, Mediastorm, and Seattle Times. Proven: The authoruses pedagogy from the world-renowned Columbia Journalism School as well as case studies from his own award-winning work. Interactive: The text is exercise- and drill-based, and the companion website provides multimedia examples and lesson files, as well as tutorials, case studies, and video interviews. Duy Linh Tu is a Professor and the Director of the Digital Media Program at the Columbia Graduate School of Journalism. He is also a co-founder and the Creative Director of Resolution Seven, a documentary and commercial production house. He is a videographer, photographer, writer and multimedia consultant. Duy is a Fellow at the Tow Center For Digital Journalism, where he produced Video Now, a groundbreaking report on the video journalism industry. He is the director of photography and producer of the award-winning documentary deepsouth. Duy shoots, produces, and consults for publications such as The New York Times and The Washington Post. Duy is a juror for the National Magazine Awards and the DuPont Awards, and has judged the POYi Awards. He received his M.S. degree in journalism from Columbia University.